Imagine having left everything you ever knew and venturing across the American West in the late 1800’s. To the north, the Indian Wars are still in full swing. The memory of what happened at Little Bighorn is still fresh. To the south, unrest between Texas and Mexico continues unabated. You’ve followed the Oregon Trail. Or perhaps the California or Mormon Trail. And you hear that you are soon to arrive at Ft. Laramie. 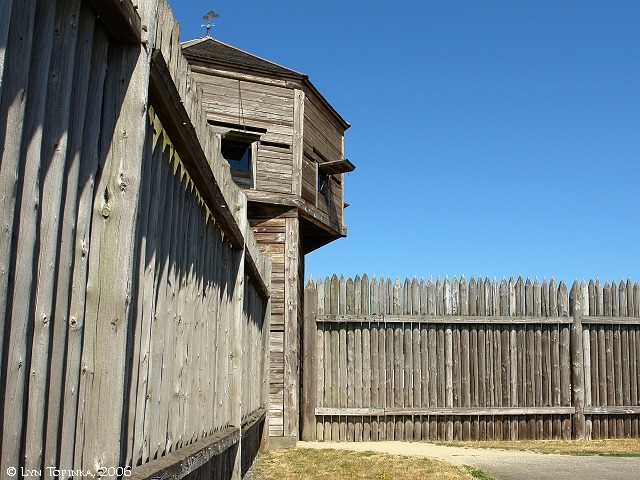 You’ve seen the frontier forts–you know what you’re headed to: a log-walled military outpost. But you finally see it–and everything you expect has been proven wrong. 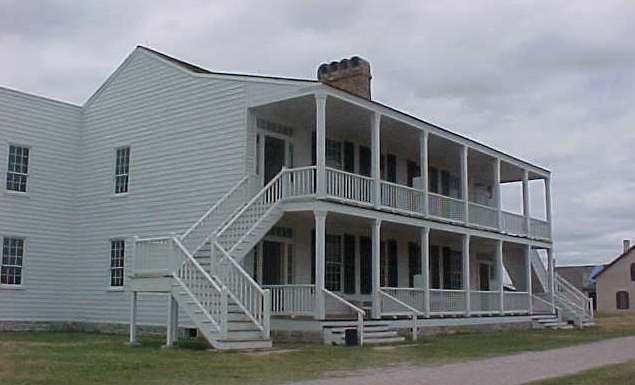 Ft. Laramie started out as a fur trading outpost, then a military post. But it was never walled, and it was one of the few forts in the West where soldiers, settlers, trappers, traders, and Native Americans worked and lived together in a peaceful existence. And although it is right in the middle of exactly nowhere, it’s well worth the trip. It was a key stop on all the major routes going West. The Pony Express and the Transcontinental Telegraph both had posts here. The people who lived here kept life a little more like what they had experienced at home in the East. Homes, instead of just barracks, picket fences, flowers, and more. Yes, there were soldiers–entire companies of the US Cavalry–but there was so much more. And when you visit, especially in the summer, you’ll get a chance to experience living history. We met Private Jones, a newcomer to the US Cavalry, newly enlisted. He told us so much about what it was like to be a soldier, what it meant to live in the West at the time. He told us how the soldiers took baths, how they spent their free time, and what their beds were like. We met a laundress named Sarah, who had come West with the Army, under contract for five years. She lived in a tent near the garden, and her job was to do laundry. All day. All the time. If she was lucky, she might marry a soldier and actually get a real home to live in. If she was unlucky, she might catch diptheria or some other disease. A lady named Mary told us about what it was like to live in one of the houses. Her crinoline-lined dress and bustle looked uncomfortably hot on the day we visited–it was at least 100 degrees with very little wind–but she showed us the breezeway in the home that had once belonged to the second-in-command, and it suddenly felt delightfully cool. Air-conditioning of the old West. It’s been lovingly restored by the National Park Service, which took possession of the site in 1940. After it was abandoned as a military establishment in the 1890’s, only 10 of the original 70 buildings remained. Many of the buildings were in extreme states of disrepair. 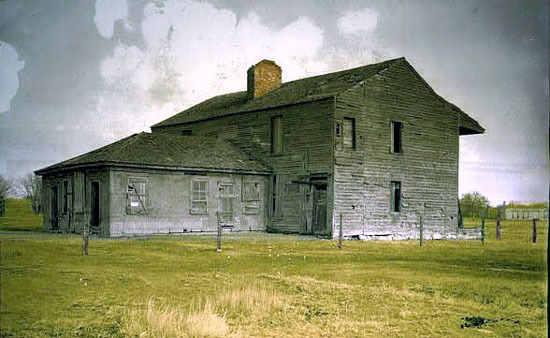 Old Bedlam, the original commanding officer’s home, was barely standing. Today, thanks to the work of the National Park Service, it has been restored to what it looked like at the height of its influence in the 1870’s. It is a stately, beautiful home, filled with original furniture and artifacts from the era, including some from the original occupants. It’s quite lovely and amazing when you realize just how it looked and how badly it had fallen apart. We might have raced through the our time at Ft. Laramie, had it not been for the fact that our children love doing the Junior Ranger programs available at so many National Parks. They require you to spend time in the Park, to explore it, to get to know it. Ft. Laramie was no different, and thanks to the Junior Ranger program, we were there for nearly 3 hours. It was time well spent. 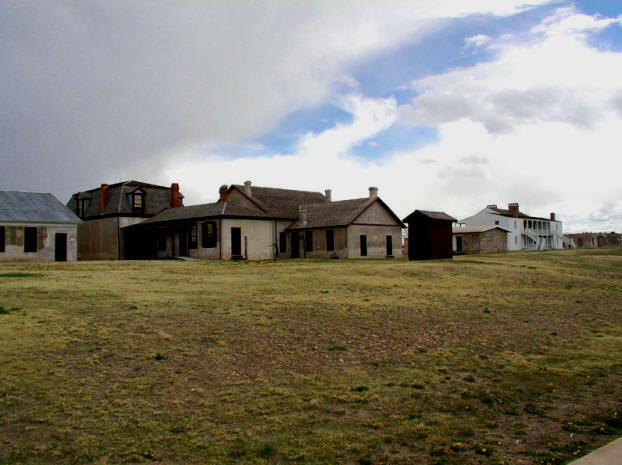 Ft. Laramie was a huge part of the American frontier–but when the frontier was gone, so was the fort. But now, it’s there again. Ready to be discovered in an out of the way corner of Wyoming. Where you and your family can experience what those settlers must have experienced: an oasis in the middle of nowhere.